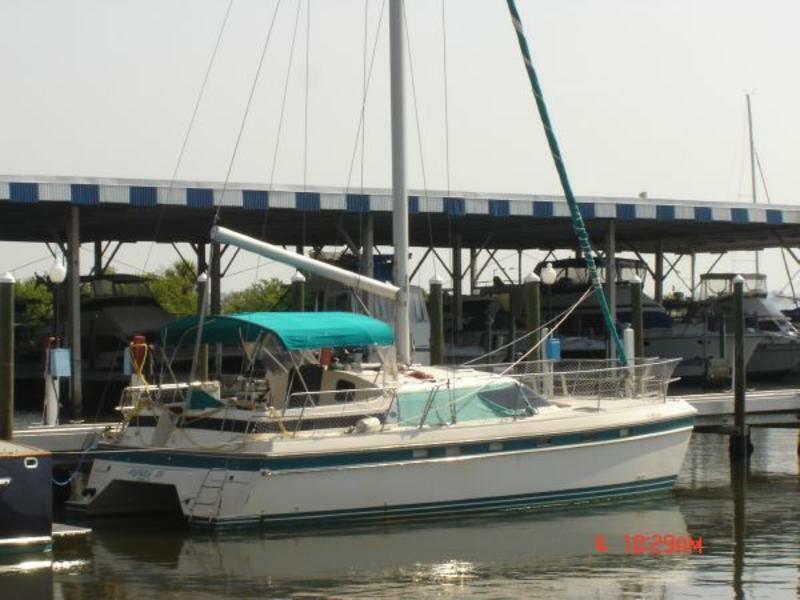 Pupule III is a three cabin cruiser with master and guest cabin berths with in cabin heads. 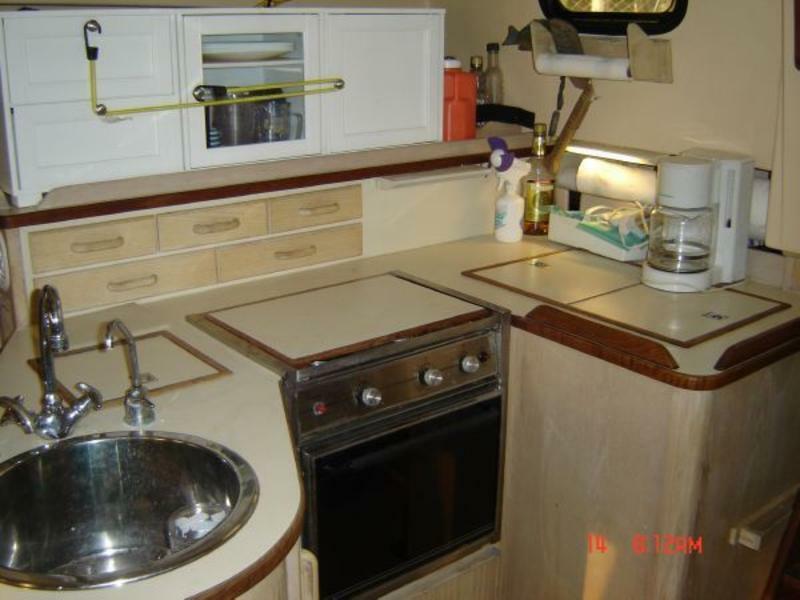 She is equipped with A/C, Lectra San plumbing systems and all of the comforts of a high end cruiser. 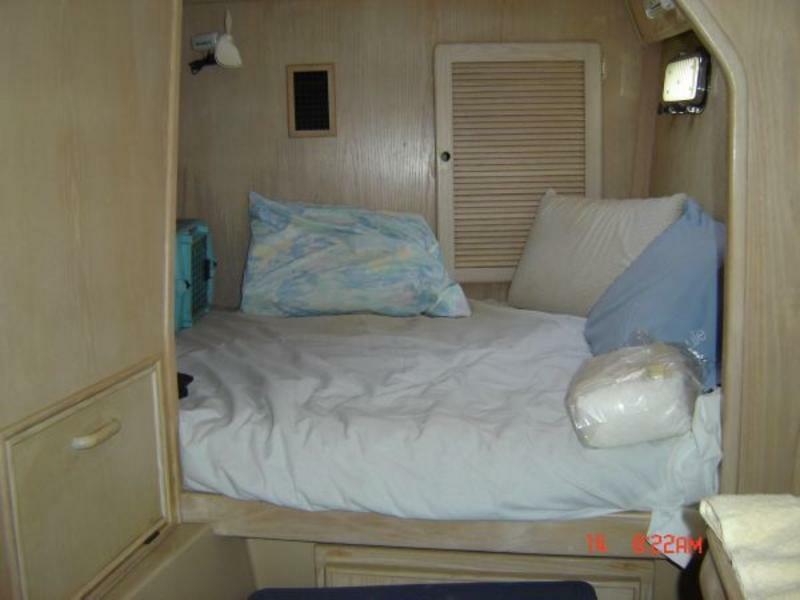 Convenient and well laid out cabin spaces containing lots of storage lockers, drawers nooks and crannies. Storage space is everywhere below and above decks. The salon area has a settee, comfort chair and a fold away dinette. Interior hatch covers are peek-a-boo type slide shades. The galley area is located to stbd. 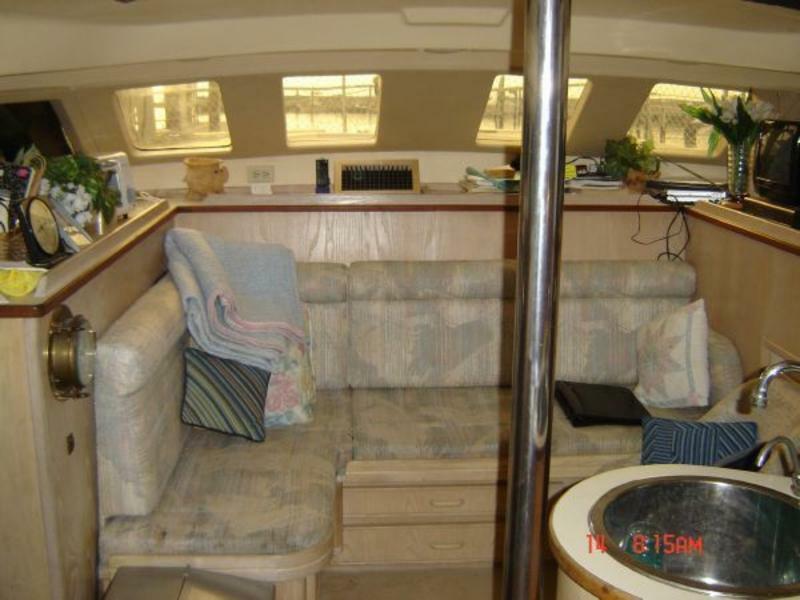 as you enter the cabin area providing easy on deck access for food and refreshments. 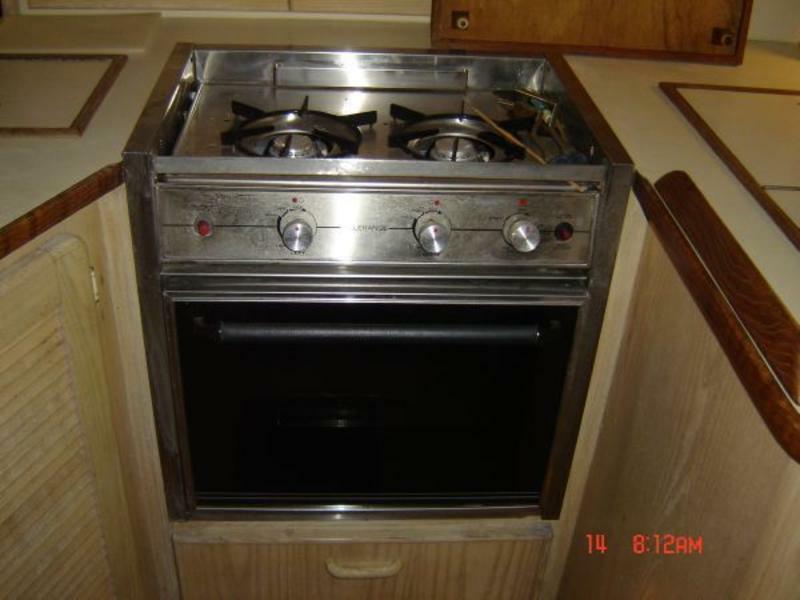 There is a two burner gas range/oven by Hiller and a large freezer/refrigerator combo. There is a separate Windchaser ice maker, a coffee maker, toaster oven and Panasonic Microwave. 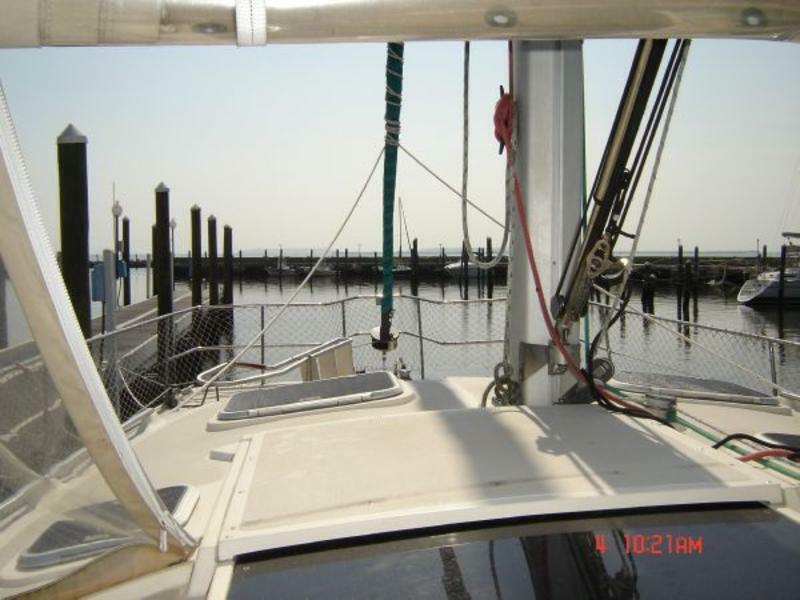 This vessel is sloop rigged and features a jib sail with Harkin Roller furling, solid Vang and in boom main sail roller furling as well. The winches included are two #46 and 2 #30 Lewmar brand. 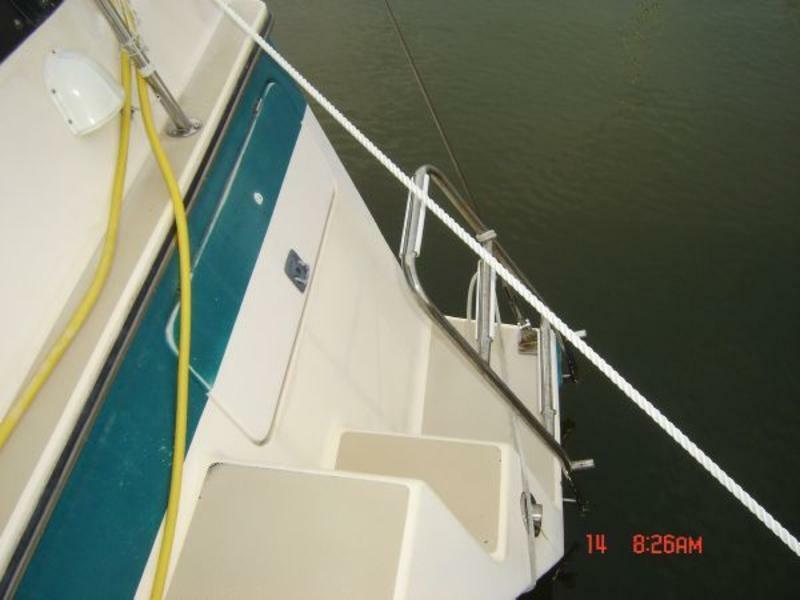 All halyards and deck lines are in good condition. All sails are original and in working condition. 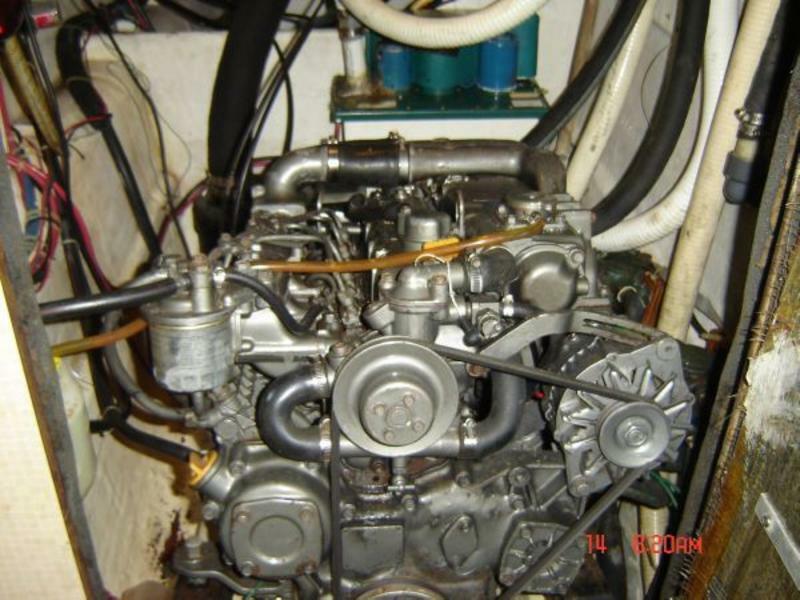 The port engine has been replaced with a 77HP Yamar turbo diesel engine ( 740 hrs. )and the port engine is a standard Yamar 26HP diesel engine (1172 hrs,). New racor filters. Note: The current owner desired better speed under power so he upgraded one of the standard 26hp engines to a 77hp engine. Cruise under power is approximately 7 kts. 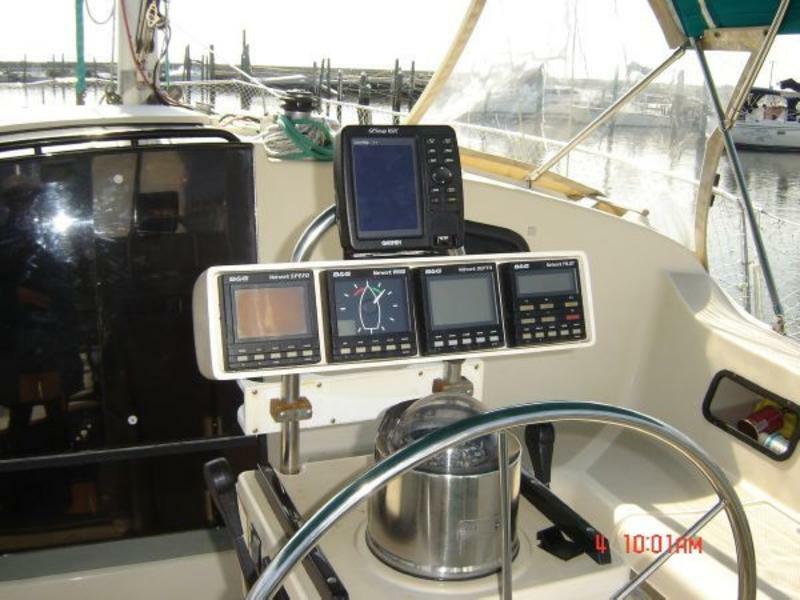 The helm equipment includes B & G Speed, Wind, Depth and Auto Pilot equipment. Additionally there is a Richie compass. 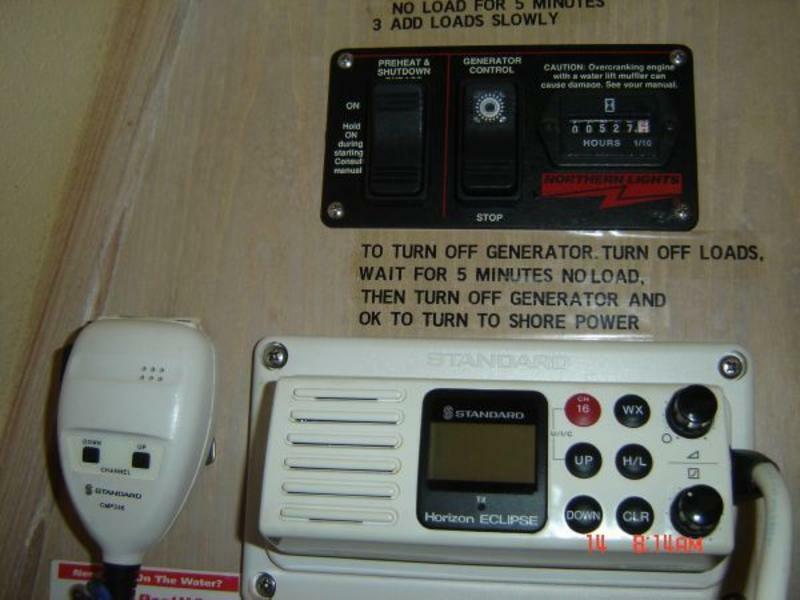 Standard Horizon Ecclipse VHF is located below at the cabin entry. Other equipment included: Dual CD player, Cyber Home DVD Player,. Seiko ships clock in the salon area. 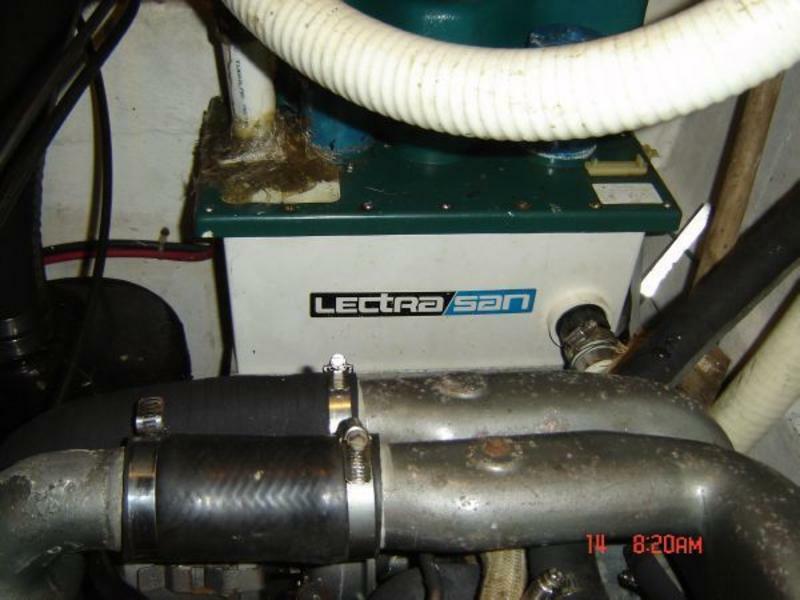 This PacketCat has a 6.5KW Northern Lights genset with 527 hours. 30 amp shore power cords and a 40 amp Sentry Model 415B battery charger. House batteries are two AGM, new in 2011. There are separate engine start batteries and Perko battery switches. 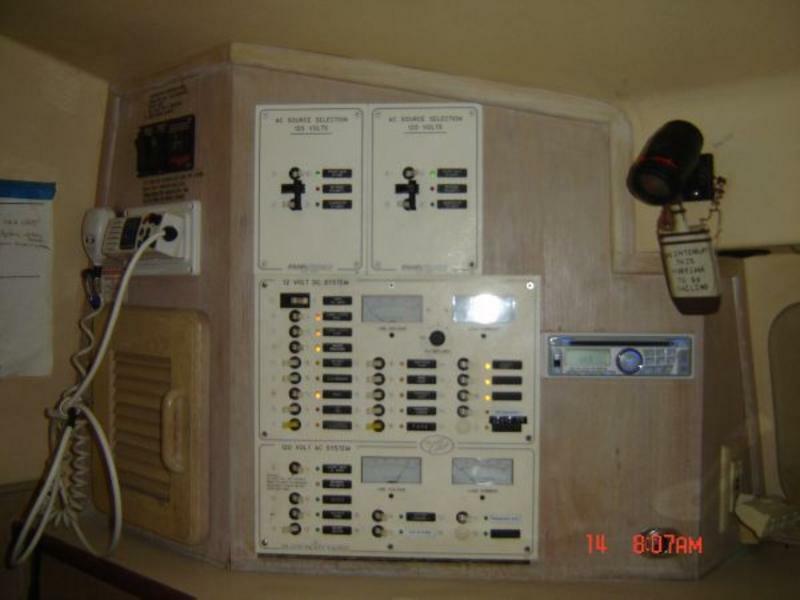 The main panel is 110v AC/ 12 v DC. Lectro-San systems by Raritan. Two Cruseair A/C units.